Discussion in 'Andy's Fashion Forum' started by Flanderian, May 29, 2016. 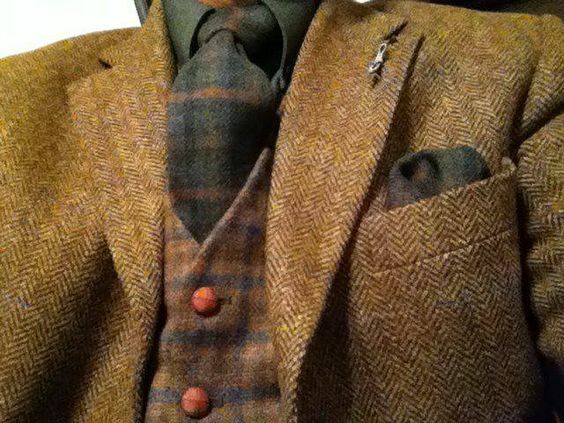 With the temperature in the shade at 93F, and a dew point of 70F, naturally, thoughts turn to tweed! Not to wear of course, but rather to aid in envisioning a sublime season of crisp breezes, cool dark shade and gentle late afternoon light. Not necessarily Flanderian recommended, but rather some provocative and thought provoking ensembles featuring lovely tweeds. Beautiful collection of colors, textures and patterns but an unbuttoned OCBD? Really? The last / I really like. 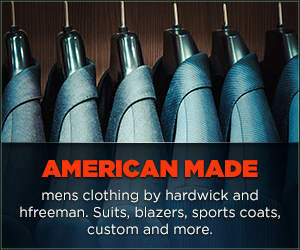 For the second to last, I think I'd opt for a light blue shirt just for some contrast. Nice, thanks for sharing the link. 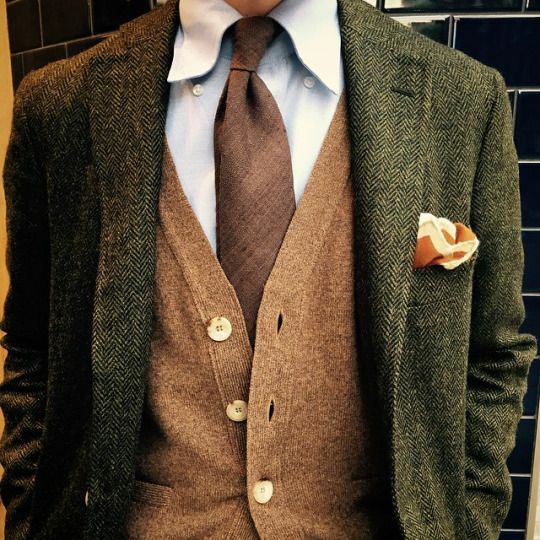 That would be nice, but overdone a bit as the tweed theme is here, I must confess to an affinity for these colors and textures, including the dark olive shirt. 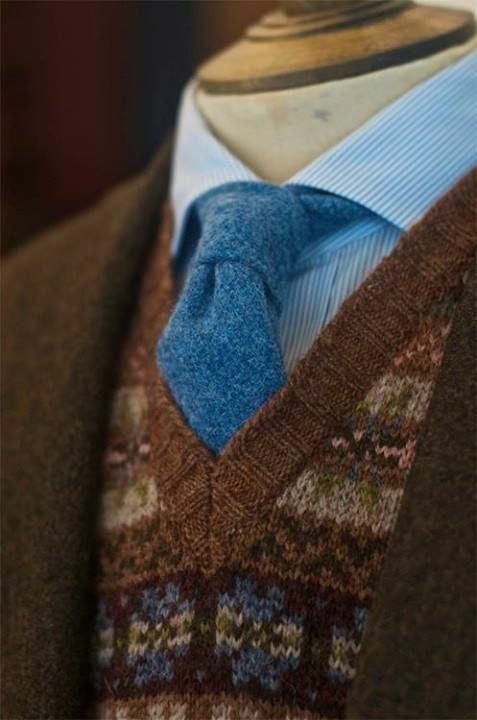 I like darker shirts as an ultra casual rustic option with tweeds and cords. It suits my gloomy nature and allows me to fade into the corner of a dark, wood paneled tap room. Dark corners of paneled tap rooms are some of my favorite locations in all the world. Oddly, up here in the gloomy PNW the tap rooms seem mostly to be paneled in light wood. Oh well, so long as the beer engines are working I can tolerate a lack of brooding dark. At least now I can. A year and a half ago brooding gloom was what i sought out. 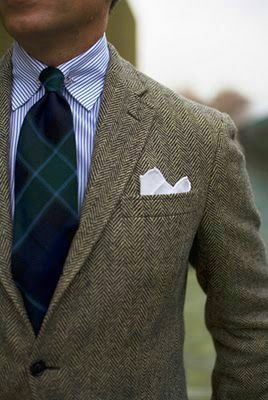 First picture would work well - in a Sir Watkyn Basset-y way - if you ditched the ps and buttoned the button-down.